The rebirth of the Nokia 3310 is a welcoming addition in a globe that is trotting with smartphone users. Occasionally, we need a feature phone that will deliver the same basic functionality that we carry out on smartphones but get more battery life out of the device. With a few aesthetic and hardware upgrades, the 3310 is ready to set sail in markets later this year. However, before you become ecstatic to purchase it, you should know that the device does not feature a 3G or LTE modem, meaning that it only provides support for 2G connectivity. To be fair, both Nokia and HMD Global wanted to market the extrapolated battery life of the 3310 and users will never be able to come close to experiencing that battery if a 3G modem had been a part of the hardware. Though the phone does support 2G frequencies, it is important to know if the device will be compatible with the network in your region, so let’s get started. Which Frequencies Does the Nokia 3310 Officially Support? Nokia 3310 officially supports the 2G network running on the 900MHz and 1800MHz frequencies, which you would expect from a feature phone like this, but looking at how chipsets the size of pennies (yes, we are referring to the Snapdragon 835) can deliver Gigabit LTE speeds in mobile devices, carriers are shifting away from 2G. That being said, if you want to keep your hopes alive of using the new Nokia 3310, then you should be living in a region where carriers continue to support the 2G network. We do not know what sort of strategy HMD Global and Nokia were planning, but it looks like users will not get widespread support for the 3310 in the US. Currently, there are two main 2G GSM service providers in the US, which are AT&T and T-Mobile. Unfortunately, neither of them support 3310-friendly frequencies; in fact, both of them are taking the necessary steps to ensure that the 2G network is not a part of their services any longer. While AT&T have gone through with that, T-Mobile will be shutting down its 2G division by 2020. Users living in Canada will also be out of luck because no carriers support the 900MHz and 1800MHz standards. HMD Global and Nokia have not provided any update on whether a compatible 3310 variant will be released for the aforementioned countries but for now, it is best to avoid a purchase. Europe is currently a 3310-friendly continent, but all that might change when 2020 starts. European countries plan to ax 3G services first because 2G technology is actually used in a variety of other applications in order to exchange data. 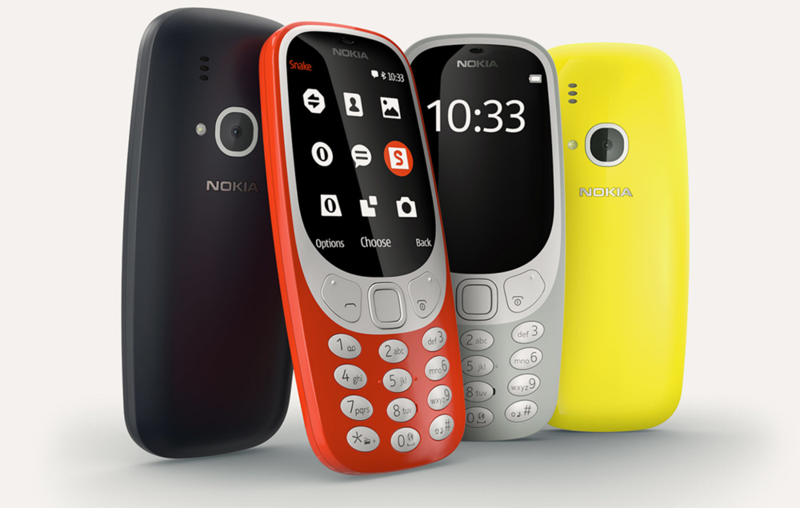 In short, European carriers have decided to go easy on the use of the Nokia 3310, but it looks like an upgraded version of the handset featuring an improved cellular modem will have to be released if you want to keep your hopes alive of using it there. Since there are a lot of countries in Asia that are emerging markets for smartphones, you should be able to use the Nokia 3310 on the 900 and 1800MHz frequencies. Most of these regions continue to use 2G and 3G solutions so it will be a long time before you see such services getting terminated. However, other regions that already introduced 2G and 3G services before the emerging markets embraced cellular connectivity expansion might bring down the hammer. Notable examples are Singapore and Taiwan; Singapore is expected to dismantle 2G networks starting from April 2017, while the move from Taiwan shall take place later in the year starting December 31. Does This Mean That Nokia 3310 Will Become Useless in the Future? Not necessarily, because 2G is still a very reliable service especially for emergency voice-related scenarios. The idea of shutting down 3G services is the more practical approach because better performing mobile-data services such as 4G are widely available. Soon, 5G networking will become ubiquitous, making the addition of 3G a useless member of the cellular networking family. In countries where the networking infrastructure is less developed such as African regions and some parts of Asia is where the Nokia 3310 will be able to sell in higher numbers. From a hardware perspective, we believe that the decision to make the Nokia 3310 different from its predecessor was a wise choice because it is thinner, and has a colored screen, making it feel much closer to the phone designs of devices available in 2017. It features a 2MP rear camera that is not going to be a stunner in imagery competitions, but that upgrade is a welcome addition as opposed to its camera-less predecessor. Most smartphones even today ship with single SIM models, but in regions where you will be using two numbers is where the Nokia 3310 will become your best friend because HMD Global plans to ship out dual-SIM variants too. Expandable storage is also a part of this configuration, with a MicroSD opening that will allow users to increase their total memory up to 32GB (onboard storage is 16MB). 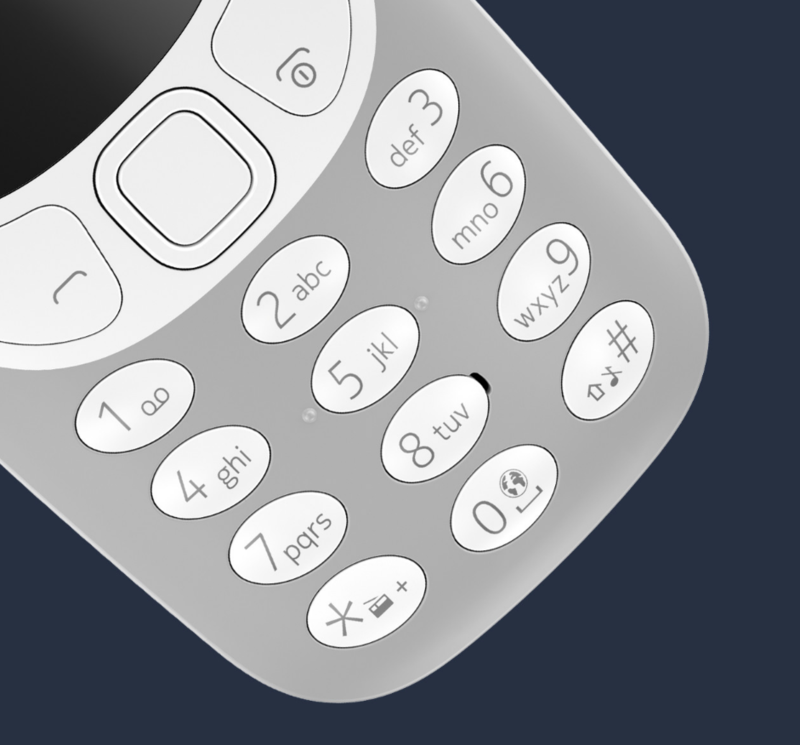 As for battery life, the 3310 allows up to 22 hours of talk time, and standby time that will last for a month. The cell used inside is a lithium-ion-type, so you will see that talk time and standby time decrease after you have taken the Nokia 3310 through several charging cycles, though the noticeable differences will start to emerge after years of abuse. However, the fact that it has a user-replaceable battery should make it more than easy to swap out the existing cell for a new one. 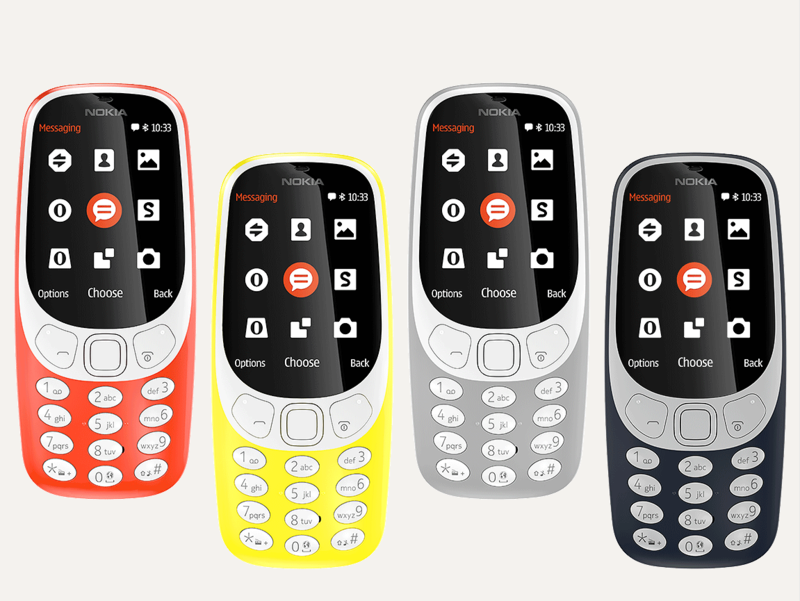 We are hoping that HMD Global and Nokia 3310 are able to release a variant that will be compatible with the networks of other countries since it is very useful to have a phone that will last you for days. With smartphones, battery life is quite limited and you have to carry portable battery packs to prevent complete battery depletion of the handset. I’d definitely get one of these to act as my secondary driver, but it will take a while before it is available in my region. Would you end up buying the 3310 if it is compatible with your network? Let us know your reason for purchasing the device in the comments below.